This week’s interview is extremely exciting because I had the awesome opportunity to chat with Sherri Seligson of Apologia. 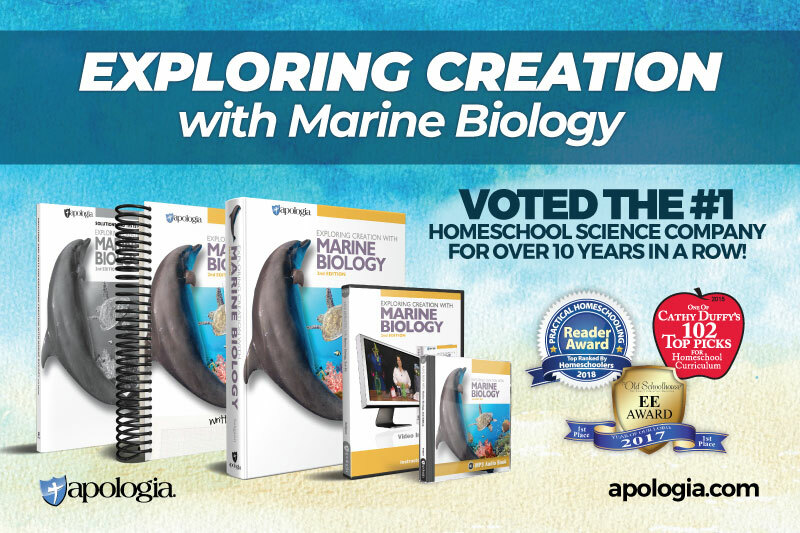 My family has been extremely happy with Apologia materials over the years (you can check out our videos here and here to see more about our curriculum picks in past years). In this interview, Sherri has so much to offer us including a wonderful science curriculum with a trusted company. Sherri Seligson is a 21-year veteran homeschool mom of 4 children, a degreed marine biologist, researcher, wife, and Christian. Before being promoted to motherhood, Sherri worked as a marine biologist at Walt Disney World’s Living Seas, publishing shark behavior research. She has authored Apologia’s Exploring Creation with General Science, Marine Biology and Internships for High School Credit, instructional video courses for Apologia’s science curricula, and companion curricula for feature films including Dolphin Tale and War Horse. An international conference and retreat speaker, Sherri uses transparency, truth, and humor, to encourage moms on their homeschool journey and to teach families and students the importance and excitement of studying God’s creation. Understand our kids’ physical needs: one of which is sleep. When it comes to having deep conversations with our kids, we need to really be available to them. Pursue our kids in getting to know them and help them to get to know themselves. Academically, we want to help our kids transition to grow into independent learning. Teaching them how to learn is important. Self-directed learning all boils down to guidance into time management. We should be ready and willing to offer guidance and consequences. You have full permission to change curriculum when you need to! Not every child should go to college, but we should prepare our children and give them the options should they desire to go in that direction. In her most recent project, the team at Apologia shot in-depth, up close and personal, engaging videos on location for each of the science labs. This is quite a phenomenal way to view science! View and purchase the latest science products. Be sure to leave a comment and let us know how you enjoyed the podcast. Also be sure to sign up for my newsletter below, and subscribe to the podcast in Itunes!